Have you ever wondered where sparkling Italian wines come from that we all love to sip with a good aperitif? Today we’ll talk about the places where Prosecco is produced, and explain a little about its characteristic sensory qualities. 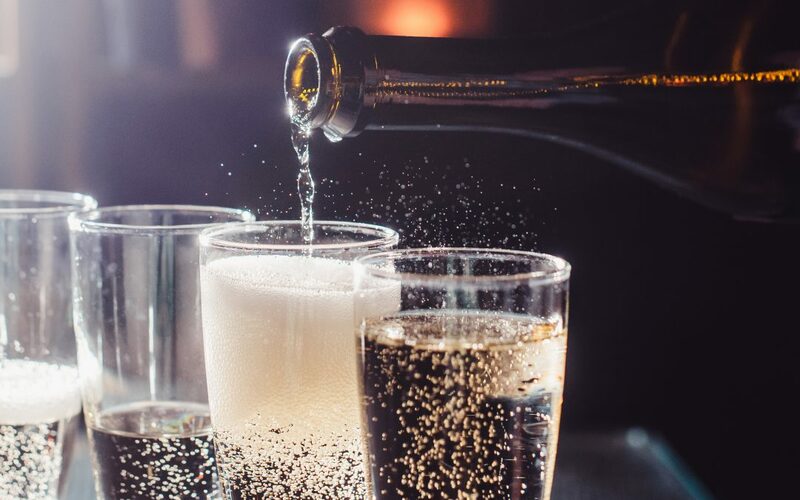 Prosecco is the Italian sparkling wine most exported from Italy. 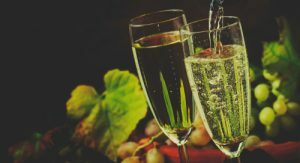 20% of Prosecco is produced in the territories of Friuli Venezia Giulia, and 80% in Veneto, in the area between Conegliano-Valdobbiadene and Asolo, where the highest quality Prosecco is produced, Prosecco Superiore DOCG. Far away from the hustle and bustle of the city, in a place where people breathe fresh air while cycling through green hills, grows Glera, the vine that gives us the sparkling wine that in 2013 exceeded the sale of champagne for the first time. Here the work of the harvest has not lost its handcrafted workmanship: the activities are mainly carried out by hand, with only the assistance of some machinery , and quality is favored over quantity of production. 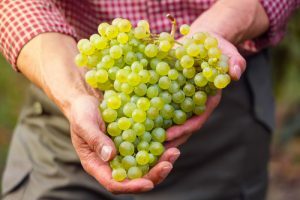 What makes the quality of these grapes so special is found in the climate, and especially in the soil of these territories, the properties of the ancient sea beds that have slowly surfaced give notes of flavor unique to this wine. In fact, the singularity of the Prosecco Hills has led this area to be nominated to become a UNESCO World Heritage Site. It’s best to be clear and to be sure of the choices we make at the table regarding Prosecco. There are different categories that depend on the wine’s perlage, the effervescence on the palate. 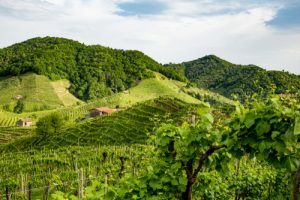 The itineraries following the Prosecco routes in Italy are not lacking, and the true connoisseurs certainly won’t miss the chance of a pleasing stroll in the countryside. Starting from Conegliano, a village dominated by an imposing medieval castle and the headquarters of the Cerletti Institute, founded in 1876 and one of the only 11 wine schools in Italy, crossing villages and hamlets that have made the cultivation of vineyards a real vocation. The Strada del Prosecco and Vini dei Colli Conegliano Valdobbiadene follows the path of the oldest wine route dating back to 1966, offering the eno-gastronomic tourist various possibilities of discovery thanks to the thematic routes within its 120 km. The extra motivation to go on a wine tour is its proximity to the capital of Veneto: in fact, Venice is just under an hour’s drive from Conegliano. To let you get more of a taste of the world of Prosecco, in our 12-day tour of Rome, Amalfi and Venice we have planned an enchanting aperitivo in a gondola: cicchetti, the typical Venetian snack, accompanied by the best Prosecco, will accompany you on your day in the lagoon. And if you want to discover the world behind a glass of bubbles, do not hesitate to contact us to customize your trip together. Here at Dragonfly Tours we believe that the culture represented by local food and wine production is an act of love for anyone visiting our country!